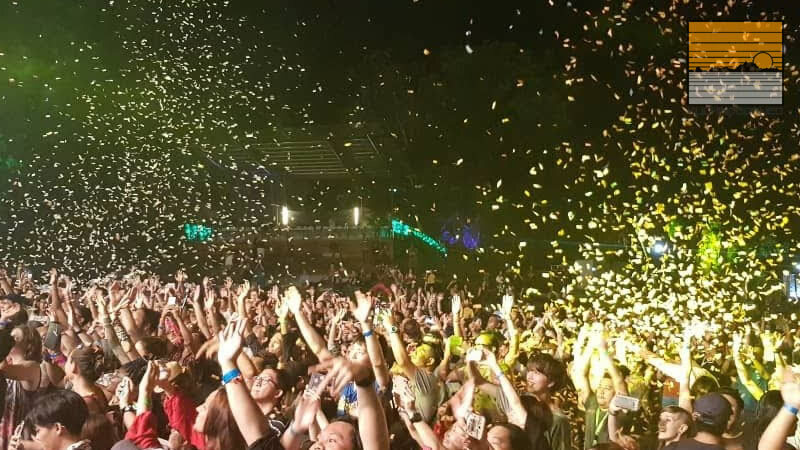 The 2018 Rainforest World Music Festival (RWMF) has ended about a month ago, and I apologize this post-event blogpost took so long to publish. 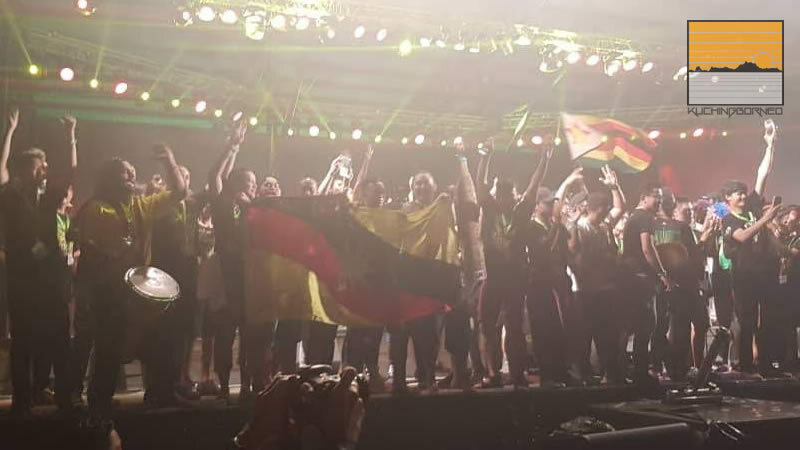 Anyway, since everyone is talking about what happened during the 2018 Rainforest World Music Festival, I decided to debunk the myths surrounding the festival. A total myth. I’ve always loved the workshops of the RWMF, but some people have said they aren’t good or impressive enough in the past. Some friends have also asked me to avoid workshops and say that they are only there to get the cool aircond, or kill time while waiting for the night concerts. 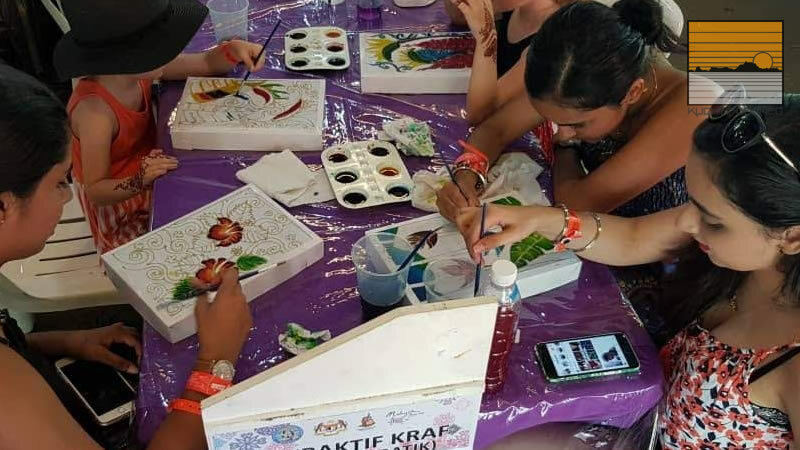 Well, a big hand definitely goes out to the organizers of the 2018 Rainforest World Music Festival because they not only increased the number of interactive workshops, but also ensured there’s a workshop for every age group and interest. This meant no one would be left out and everyone had something to do until the festival closed its doors. For me, the Sape classes were golden. 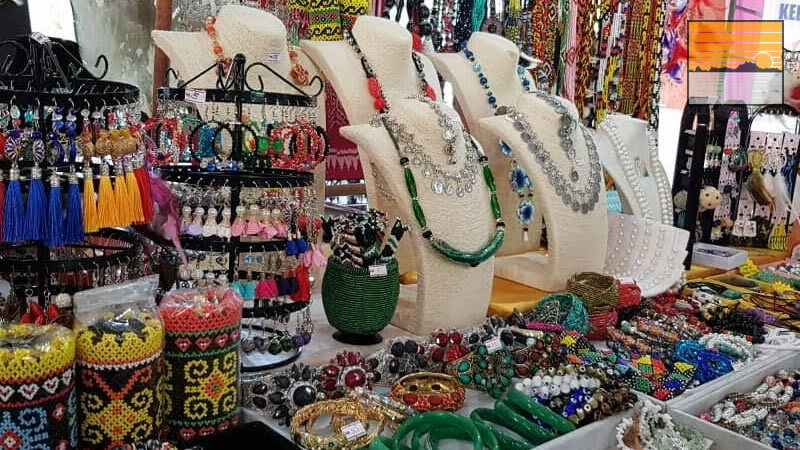 While the Rainforest World Crafts Bazaar (RWCB) may be listed as a ‘side event’ by many, it has grown to become a huge souvenier hunting ground for tourist. Aside from local Sarawakian souvenirs, custom made arts and crafts from around South East Asia are also on sale and on display. It would be a huge lie to say that there’s nothing of interest at the RWCB because the whole bazaar is filled with so many things worth to be bought. Most of these items are vibrant in colour and crafted to perfection. 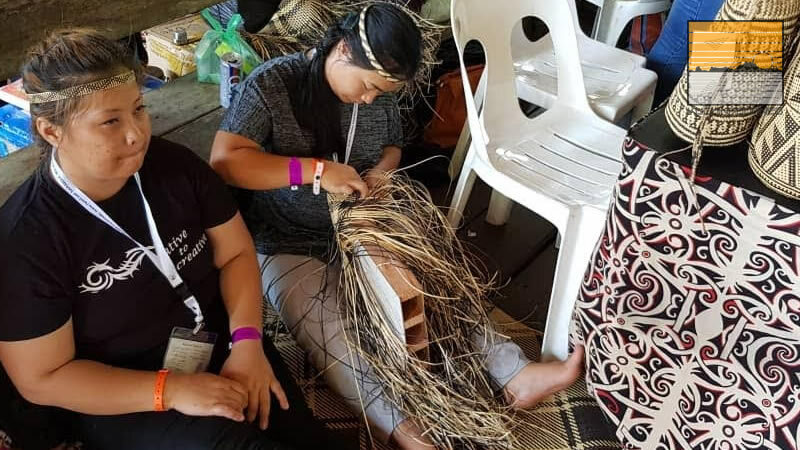 Some of the crafts featured at the RWCB are difficult to find elsewhere and are brought specifically for the 2018 Rainforest World Music Festival. So, if one said the RWCB isn’t interesting, think again. If you read my preview of the 2018 Rainforest World Music Festival, you would know that the festival had expanded to cover Damai Central. This meant that food wasn’t exclusively available within the Sarawak Cultural Village alone. 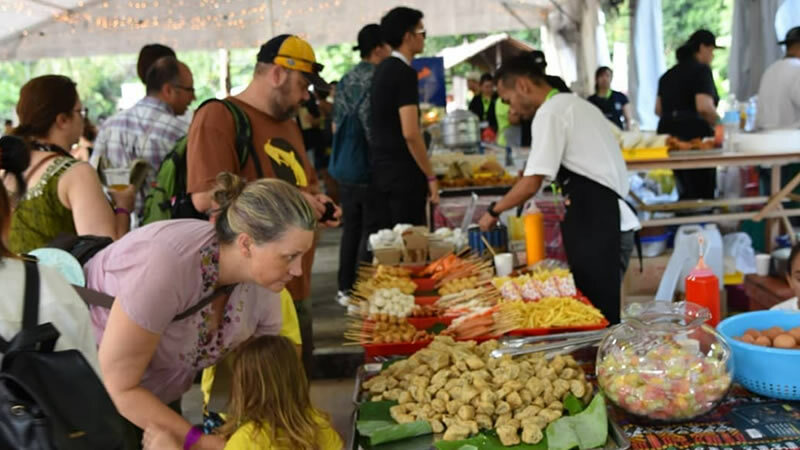 Damai Central offers a variety of local food stalls which are cheaply priced, so if it’s too much to pay for food inside, walk to Damai Central and a plate of delicious noodles came served at only RM5. That said, food at the 2018 Rainforest World Music Festival wasn’t expensive at all, but you do need to walk a bit-lah. This myth was busted from the moment you step into the festival grounds. There was cultural shows, food, crafts and so much more at the festival. More interestingly, the 2018 Rainforest World Music Festival coincided with the FIFA World Cup 2018. Many were divided to go because they didn’t want to miss the action during the World Cup. But the 2018 Rainforest World Music Festival isn’t just about music. It is about culture, making friends and having fun together. Music does just that, but so does sports, and this time around it was the World Cup. 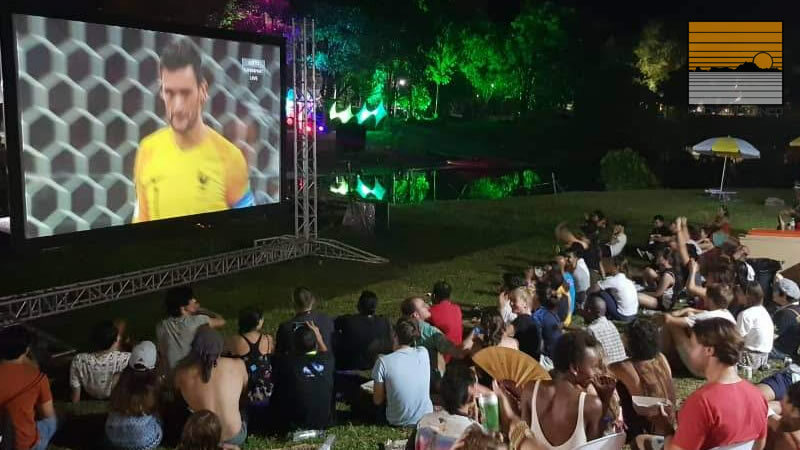 So during the 2018 Rainforest World Music Festival, there were giant screens set up to watch the World Cup. I not only could stay updated on the on-going game, but also join the thousands watching the game and made a few new friends. 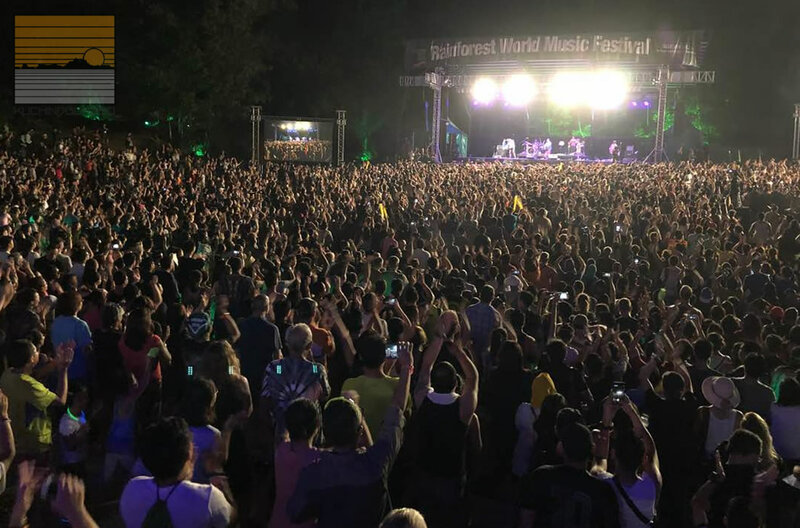 There was an article published by an international online magazine claiming that someone regarded the Rainforest World Music Festival is a dying brand. This claim was made by Joe Sidek. In the article, he claimed that he was offered to take over the festival as well. 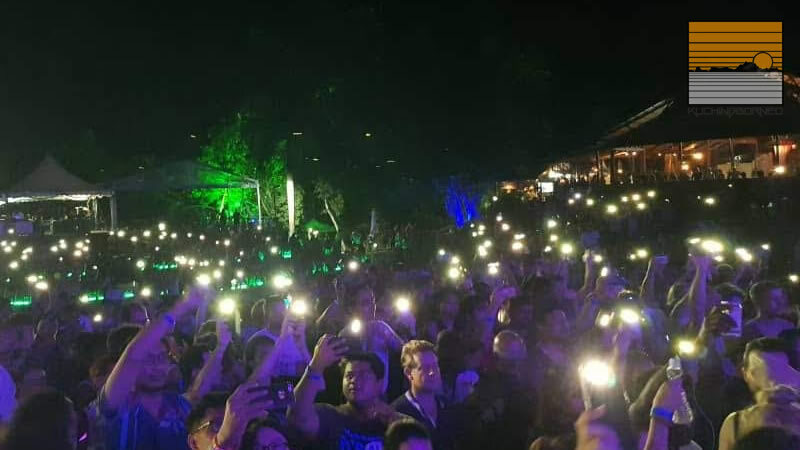 However, during the three days of the 2018 Rainforest World Music Festival, it was proof that the RWMF is anything buy dying. Tickets were sold out at the gate, and there was hardly enough space to groove during the night concerts. If you don’t believe me, the photos below will prove it all. I hope I’ve debunked all if not most of the myths about the RWMF. The Rainforest World Music Festival returns next year from July 12 – 14, 2019. Book your flight to Kuching during those dates, and read my recommendations of places to stay during the festival.